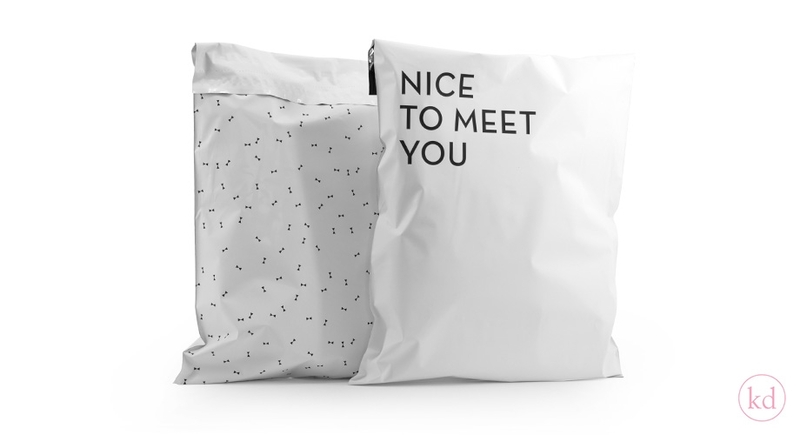 We think its always nice to meet new people, and with this postbags you can say it!And at the backside you find our cute bow pattern! We made them from recycled LDPE, with black color inside, so it will not cause any see trough effect! They have a double closing strip. So your customer can use the bag to send products back. Easy for you, easy for your customer.